The Magicard Enduro3ES dual-sided ID card system is bundled with everything that you need to print all your employee IDs, student IDs or visitor IDs on demand. 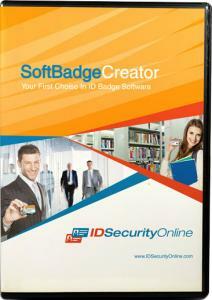 Easy to set up, this photo ID system will simplify your ID card production and help you keep a low cost-per-card. 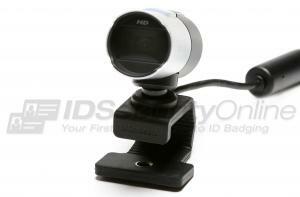 Capture high-resolution pictures of your students within seconds with our LifeCam Camera. Design professional IDs with Asure ID Solo Software and produce stunning ID cards with the Magicard Enduro3E dual-sided card printer. 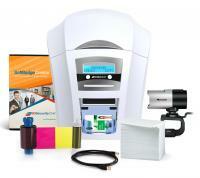 The Magicard Enduro3E dual-sided ID System comes with a 3-year warranty. The Magicard Enduro3E dual-sided ID card printer is a robust solution to produce professional ID cards and badges on the spot. The printer includes Ethernet as standard and a 3 year warranty. The Magicard Enduro3E delivers cards in batch or single feed mode. The printer is equipped with a 100-card feeder and a 30-card stacker. The Enduro3E personalizes each card at a rate of 35 seconds for color and 7 seconds for monochrome. Compact, the printer can easily be set up anywhere. The Magicard Enduro3E ID card printer features an easy-to-read 2-line color LCD display for instant printer status. Very easy to set up and operate, the Enduro3E prints flawless badges effortlessly. Magicard's HoloKote feature allows you to print a watermark at no extra cost. The watermark is printed during the regular printing cycle so you don�t have to purchase costly holographic lamination. The HoloKote watermark is visible when the card is viewed at an angle and can be easily enabled or disabled in the printer driver. HoloKote is available in four patterns: globes, keys, interlocking squares, or waves. The pattern that you choose will be printed repeatedly across the card. The Magicard Enduro3E dual-sided ID card printer features a 3-year warranty on printer and printhead. 100 cards per hour for color and 7 seconds per card for monochrome. 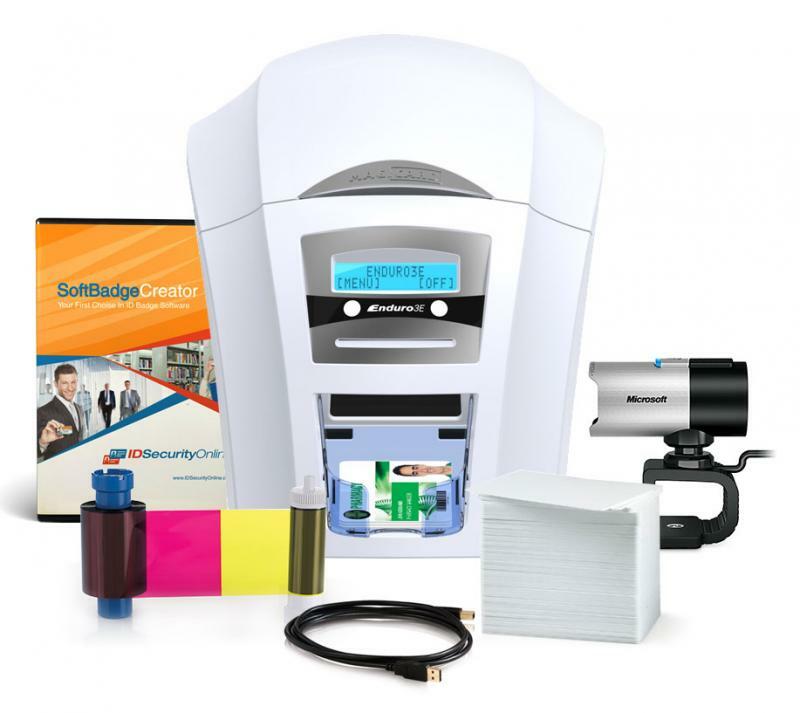 The Enduro3E is a single-sided printer which can be easily field upgraded to double-sided by means of a simple drop-in upgrade. 300dpi color dye sublimation, monochrome thermal printing and rewritable technology. Windows 2000 Professional (SP4), XP, Vista & 7 (32/64 bit compatible), Server 2003 R2 SP2, 2008 (32/64 bit compatible) and Mac OS X.
MA1000K-Black: Monochrome resin black dye film, 1000 images. Also available in White, Blue, Red, Gold and Silver. MA600KO: KO black and overcoat resin dye film, 600 images. 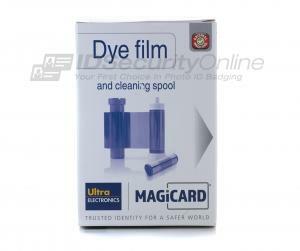 MA250YMCKOK: YMCKOK 6 panel dye film, 250 double-sided images, color on front, black on back (double-sided only). 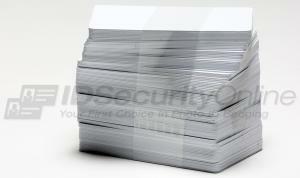 CR80/CR79 PVC ISO blank cards, HiCo magnetic stripe, smart cards, self-adhesive, rewritable and HoloPatch cards. 0.51mm to 1.02mm (0.020� to 0.040�). 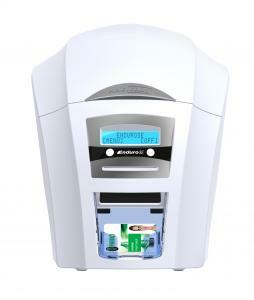 The Magicard Enduro 3E Dual Sided ID Card System features a 3-year limited warranty.